Drive Into the New Year With a Subaru! Village Subaru is conveniently located in Acton on Rt 62 at the corner where Concord, Sudbury and Maynard meet. 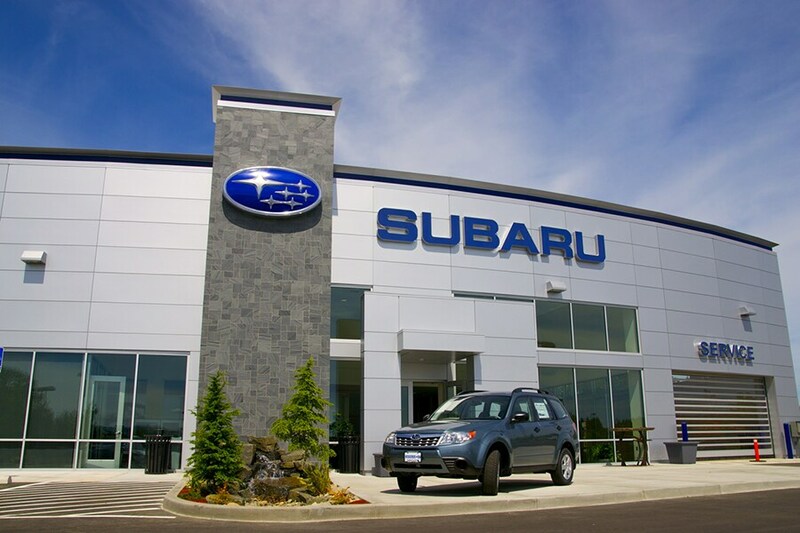 We are committed to making our retail store an easy choice for your Subaru needs. Whether you are shopping for a new or used vehicle, or are looking to service your Subaru, Village Subaru ensures your visit will be worth your while by providing the area's Best Value pricing and Best possible Customer experience. We are a multiple Stellar Care Award winner. Your Satisfaction is our PRIORITY! Come visit us today and see why customers travel from near and far to purchase and service their Subaru! There is a lot to LOVE at VILLAGE SUBARU! Because of our love for the Subaru brand, we are thrilled to be able to offer our customers a great selection of new Subaru inventory like the Outback, Forester, Impreza, Legacy, Crosstrek and more to the Boston, Natick, Belmont, and Hudson Massachusetts region. When you visit our dealership, our friendly professionals are available to ensure that all your questions are answered, while giving you the opportunity to peruse the Subaru at your liberty. When a vehicle's caught your eye, simply catch our attention; we're happy to schedule a test drive at your convenience. Thinking about buying another brand? Check out our comparison pages before you do, and you can see why Subaru is the best choice! Of course, we may be known for our fantastic selection of new Subaru models, but we've also garnered quite a reputation for offering high-quality used cars for sale in Acton, as well. Each one we carry has been carefully selected and tested to not only meet your undoubtedly high standards for quality, but to exceed them as well, and that's why drivers visit us from all over greater Boston. Finding your ideal vehicle is the first half of the car buying equation. The second half is securing a car loan or Subaru lease that fits your current financial requirements. That's something the team at Village Subaru is trained to provide, and they do so by sitting down with you, one-on-one. That way, we can learn more about the kind of payment you're comfortable with, your long-term financial goals and address any other questions or concerns on your mind. Once you are the proud owner of a Subaru model, Village Subaru wants to help you keep that new car as safe, efficient, and well maintained as possible. Our factory trained staff are pleased to provide you with onsite car service and repair. We utilize the latest automotive car care technology, and exclusively use only official Subaru parts for any vehicle repair, or upgrade. Looking to find out more? We invite you to stop in and see us at Village Subaru of Acton, where we can keep the conversation going. We can be reached in a variety of ways; either over the phone, through our website, or of course, in person. Our team loves getting to know drivers in greater Boston, Natick, Belmont MA and Hudson MA, and we strive to give you the most enjoyable experience possible. Feel free to swing by during regular business hours, and we can get the ball rolling and discuss all your car options.